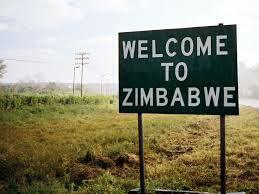 Zimbabwe, formerly Rhodesia, was one of the last countries to gain its independence from colonial rule in 1980. Prior to independence Zimbabwe had a diversified economy, well developed infrastructure, and an advanced financial sector. It is now one of Africa’s poorest countries. The current president, Robert Mugabe, has been in power during most of Zimbabwe’s short history. Mugabe’s time as leader of Zimbabwe has been controversial. Mugabe faces claims of human rights violations, corruption, and his economic policies have been questioned. The Mugabe administration redistributed commercial farms owned by non-black-African farmers to native Zimbabweans and many in the international community have also claimed he is racist to minority whites because of his “Indigenization” policies, which gave Black Zimbabweans the right to take over and control many foreign and white owned businesses. Mugabe recently gained a new term as president during heated elections in 2013. Leaders of the opposition party, the MDC, claimed that Mugabe and his party, the Zanu-PF, fraudulently stole the election even though results showed a landslide victory for the 91 year old Mugabe. Zimbabwe has a population of over 13 million and English is the official language with multiple dialects being spoken throughout the country. 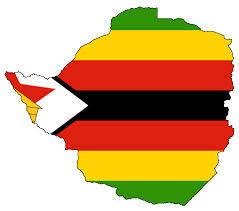 Zimbabwe, like much of Africa, has a large youth population with 62% of the country under the age of 24. Zimbabwe remains one of the world’s least free economies. The labor market is one of the most restricted in the world, and business licensing forces most workers to seek employment in the informal sector. The violent seizure of land through the indigenization policy has underscored poor government land reform policies and upset investor confidence in a once-vibrant agricultural sector. Prior to the land reform Zimbabwe was a major tobacco producer and a bread basket for surrounding countries. Zimbabwe’s economy had a decade of contraction from 1998-2008 followed by hyperinflation in 2009. The country was ravaged by hyperinflation, which officially reached 500 trillion per cent in 2008. The economy started to stabilize between years 2009-2012 but appears to be backsliding at this time. Zimbabwe does not have its own currency and uses eight others as legal tender, with the US dollar and South African rand most commonly used. By 2009 the worthless Zimbabwe dollar was replaced by a multi-currency system based largely on the American dollar. The switch to the American dollar brought stability, but at a cost. As the dollar rises in value against other currencies in the region, such as South Africa’s rand, it makes Zimbabwean business less competitive. 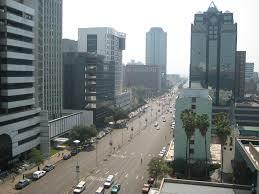 Zimbabwe has a huge informal economy with unemployment as high as 95%. 80% of the population lives below the poverty line. Zimbabwe has its share of problems from political violence, human rights violations, land reforms, and an economic collapse but it also has hope and opportunity. 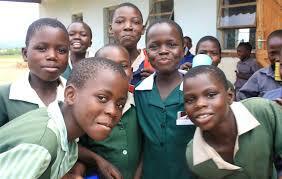 Zimbabwe has one of Africa’s highest literacy rates at over 90%. The population is usually better educated than the African average, making the people one of the greatest assets of the country. It also has a growing telecommunications and mobile money industry. Zimbabwe has a mobile penetration rate of 104%. There are currently 13.5 million subscribers and the largest telecommunications company is Econet, with 9 million subscribers. There are over 5 million mobile data subscribers with 98% of those subscribers accessing the internet via their mobile device. The current internet penetration rate in Zimbabwe is 64%. Zimbabweans have very little confidence in their formal banking sector. A record number of banks have failed in the last decade. Apart from that, many account holders lost fortunes to the banking sector when the Zimbabwean economy crashed in 2009. Not a single penny of the Zimbabwean dollar value held by the banks was paid to account holders when the country changed over to the US dollar. The adoption of the US dollar has brought about its own headaches to the Zimbabwean economy. Major problems include illiquidity and the lack of small denominations. Getting change when transacting is therefore a problem. 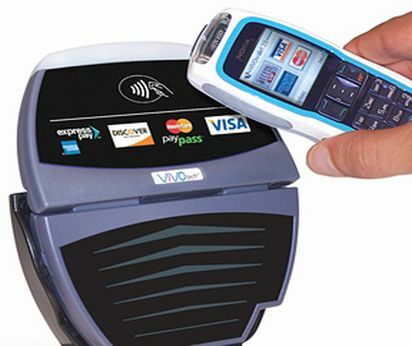 This kind of environment has favored the widespread use of mobile money –which is cashless. Zimbabwe is one of nine countries in the world where more people use mobile money than have bank accounts. According to a study conducted by FBC Securities in October 2014, only 14% of Zimbabwe’s 13 million population have bank accounts (approximately 1.8 million Zimbabweans). The country’s three mobile network service providers (Econet, Telecel and Netone) dominate the mobile money sector. Econet through its EcoCash brand is by far the biggest mobile money service brand in Zimbabwe. EcoCash pioneered the service in the country and enjoys all the first mover advantages. 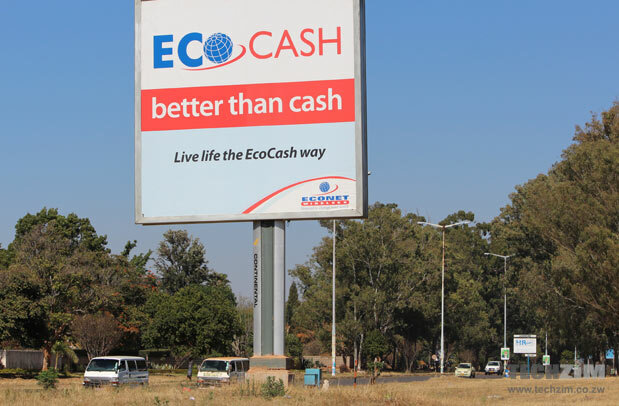 It has made a significantly higher investment into brand and platform awareness than any other player allowing EcoCash to become a household name. Econet Wireless has 3 million registered users for its mobile money product and now accounts for about 20% of payments and purchases in Zimbabwe. EcoCash, offering domestic P2P money transfer services, is just the first step towards a much bigger goal: becoming the dominant payment system in Zimbabwe for the banked and unbanked alike. EcoCash is currently targeting two pain points with major commercial opportunity: enabling retail payments to merchants and creating a bridge between the informal and formal sectors. To capitalize on these opportunities, EcoCash is building two important structures: a merchant acceptance network and full interoperability with Zimbabwe’s banks. EcoCash sees interoperability with banks as the key to linking Zimbabwe’s formal and informal economies. There is substantial demand for payment services between these sectors, with money flowing between banked and unbanked families, and between unbanked individuals and the formal sector in the form of retail payments, school fees, and utility bills. The key regulators in Zimbabwe include The Reserve Bank of Zimbabwe for the financial sector and Postal and Telecommunication Regulatory Authority of Zimbabwe (POTRAZ) a telecommunication regulator for the communications sector. Regulation has lagged behind the technological innovations happening in the telecom/mobile money sector. Initially, the Post and Telecommunications board had oversight over the activities of the mobile network service providers but with the emergence of the mobile money –the central bank has also become involved. The responsibilities of the two regulatory authorities overlap and of late they have been fighting for turf at the expense of developing the mobile money sector. 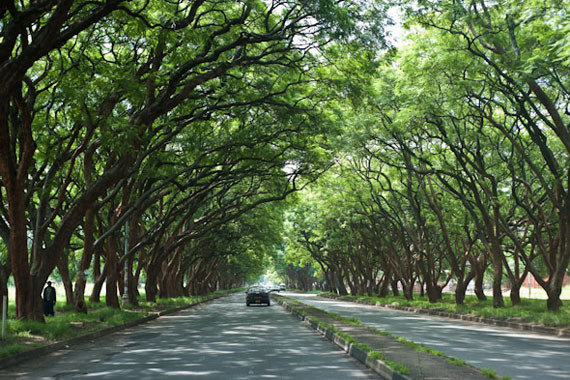 In the last decade Zimbabwe has seen the worst and is hoping the future will be better. Things are still on the brink, as the current backsliding of the economy has shown, and many are confident things will change once Mugabe is no longer in power, which may happen soon considering his advanced age. There can be no question that certain policies, such as the land reform policy, have hurt the Zimbabwean economy and its people. The growth of the telecommunications and mobile money sector gives the country hope that it is turning a corner and that the future will truly be better than the recent past! According to the Alliance for Financial Inclusion, mobile money accounts now outnumber bank accounts in nine African countries. Among them is the east African country of Tanzania – the next destination for MMIT’s Mobile Market Look series. 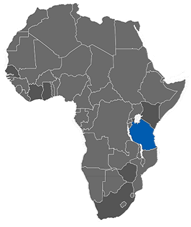 Tanzania is the second largest economy in east Africa and ranked the 6th most populous country in Africa, with just below 50 million people (2013). Although it remains one of the poorest countries in the world, the nation has a bright future with promising untapped potential. Mainly known for its gold exporting and tourism sector with Mount Kilimanjaro, the Serengeti, and the beaches of Zanzibar, the country has so much more to offer beneath the surface. Tanzania is growing at a faster rate then most of Sub-Sahara Africa. From 2001 to 2014 Sub-Sahara Africa has recorded annual GDP growth rates between 4% and 5%, while Tanzania has seen rates between 6% and 7%. Tanzania’s projected rates until 2017 are predicted to be 7% or higher annually. 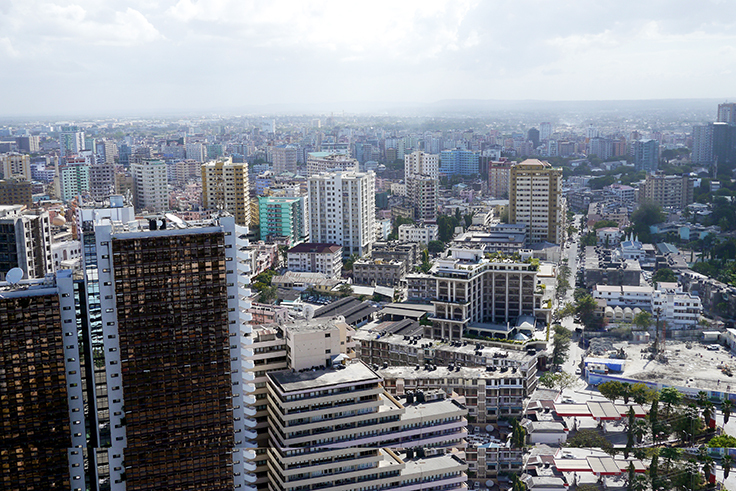 Over the years, Tanzania has transpired as a popular destination for Foreign Direct Investment (FDI) initiatives due to the political stability, location, and favorable investment regulations. The country has also been a major beneficiary of the Bill and Melina Gates foundation and continues to improve in areas of human development. Emerging industries that are increasingly gaining attention and more investment within the nation include agriculture, natural resources, transport, financial services, telecommunications, and our focus – mobile payments. Although Kenya is the undisputed trendsetter when it comes to mobile money, Tanzania has been one of the fastest and most successful markets to adopt mobile payments systems. The first mobile payment product in Tanzania was the Kenyan mobile money transfer service M-Pesa, launched by Vodacom in 2008 just one year after its debut in Kenya. As of last year, Tanzania surpassed Kenya in terms of transaction volumes to become the leading country for mobile payments. Tanzania has exceeded Kenya in terms of mobile money usage in 2013. According to a report by the GSMA, 44% of Tanzanian adults used some form of mobile money compared to 38% in Kenya. The total value of transactions in 2013 was $17.7 billion (USD), which accounted for over half of Tanzania’s GDP at 54%. The number of mobile phone subscribers also continues to grow at an unprecedented rate. Mobile phone penetration was approaching 70% at the end of 2014 with an annual subscriber growth rate of over 20%. In 2014, about 55% of Tanzania’s mobile subscribers use mobile money services, with over 16 million registered mobile money users. According to the GSMA, over 11 million of these accounts are active within a 90-day period and providers are processing more than 99 million transactions per month valued at over 3 trillion TZS ($1.8 billion USD). Mobile money products within Tanzania are quickly evolving serving the population with new innovative ways to carry out transactions, some never before seen in any other market of the world. Transactions are moving beyond the traditional airtime top-ups and money transfer options offered by the likes of M-Pesa to offer more mobile money payment capabilities. Tanzanian consumers now have a plethora of mobile money payment options for salaries, bills, utilities, fuel, insurance, bus passes, micro-financing, healthcare, physical goods, and beyond. One of the newest innovations is an interest-earning mobile money product. Customers receive quarterly interest for storing money on their mobiles, a similar concept to gaining interest in a bank account. Tanzania seems to be quickly emerging as a target market for companies to pilot new mobile innovations due to the success of mobile money and favorable market conditions. 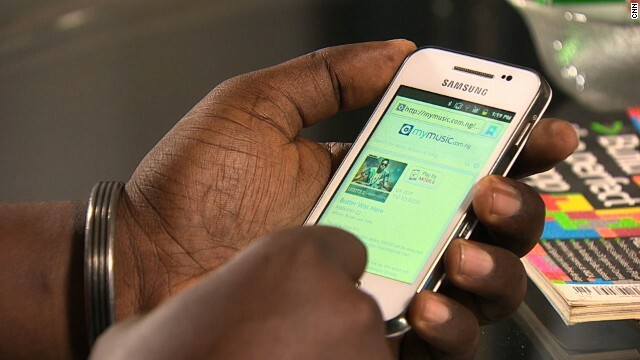 Examples of new mobile innovations targeting Tanzania outside of mobile money initiatives include Facebook’s internet.org, Tigo’s music streaming service, or Ex-Apple CEO, John Sculley’s Obi Mobile smart phone brand. Why has Tanzania been so successful? Nearly 6 years ago, Tanzania had one of the highest population percentages of financially excluded citizens. Lack of trust, understanding, and access to formal banking systems are just some of the reasons people are unbanked. Mobile phone ownership rates have grown rapidly in the country and the majority of the population have access to a mobile phone, creating a favorable environment for mobile payments. According to the InterMedia FITS (Financial Inclusion Tracker Survey) study in 2012, even among underprivileged households of rural, unbanked, and poor (living on less than $2 a day) – 50% of these families had access to a mobile phone and owned a SIM card. The Central Bank of Tanzania (BoT) is openly supportive of mobile money usage and is actively engaging in related initiatives in moving Tanzania towards becoming a cashless society. The use of financial services has doubled in the past 5 years due to the mobile surge. The BoT’s goal was to increase the share of the population with access to financial services from 27% in 2009 to 50% in 2015. This goal was not only achieved but was also exceeded in 2013 at 54% – achieved 2 years earlier than planned. Tanzania has been recognized as one of the leading countries of Africa for demonstrating a favorable environment and policy for promoting financial inclusion. The mobile money industry is regulated under structures that differ from typical financial services providers. Major players within the industry work together – the Tanzanian government, mobile network operators (MNOs), and financial services – in collaboration to develop a sustainable mobile money framework. Industry consolidation of MNOs occurred in 2011 into 2012 due to price wars and to prevent market saturation. Tanzania’s mobile money ecosystem is ripe for interoperability and could be one of the first countries to fully capitalize on the benefits. The four largest MNOs – Airtel, Vodacom, Tigo, and Zantel, have established partnerships with the BoT and the two largest banks – CRDB Bank and National Microfinance Bank. The purpose of these partnerships is to craft regulations for the industry and as a first step in the direction of interoperability. 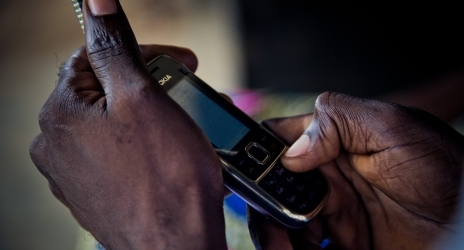 What is the future of Mobile Money in Tanzania? The absence of interoperability remains a major impediment within the mobile payment industry. Interoperability is the ability for different information technology systems and services to communicate and exchange data. Without it, consumers suffer from lack of flexibility and accessibility to a wider array of services. Customers may receive mobile money from a different service than what they currently have, which may force them to travel a considerable distance to set up a new mobile money account, wait in line, cash-out, and then have multiple mobile money options on their phones. 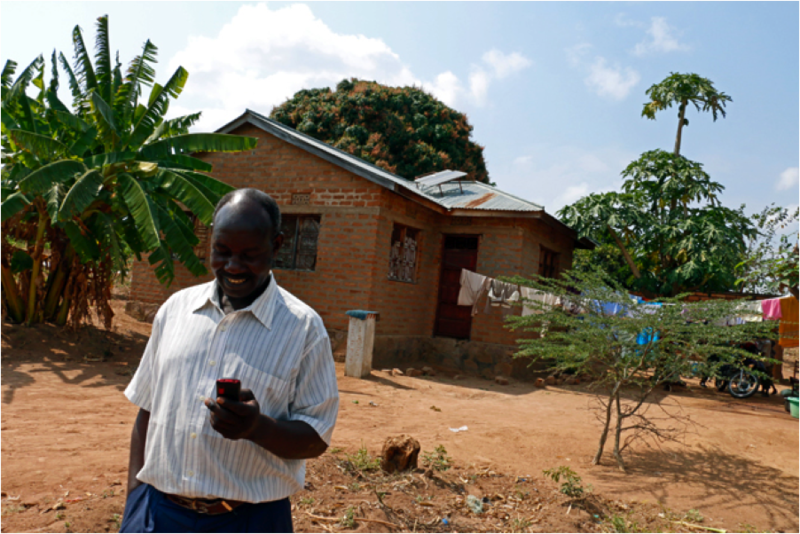 It is estimated that 75% of Tanzanians live in rural areas, which presents a challenge for any agent network system within the country. Based on a FITS user survey many consumers have experienced issues with the current mobile money provider agents, mainly issues of inconsistency, insufficient e-float, absenteeism, or insufficient help with transactions. The easier the payment structure, the more likely they are to use it again or continue to use on a frequent basis; this will ultimately result in an increase in overall transaction volumes. However, as commonly seen throughout Sub-Sahara Africa, many industry players refuse to open up doors to competitors – even if it could be to their benefit. Additionally, several country governments within Africa exercise forms of protectionism placing restraints on players within the mobile payments industry and their roles within the ecosystem. The next initiative for the BoT is to find a way to link all of these mobile money users with formal banking institutions to drive up the percentage of the financially included. Tanzanians no longer need to invest their money in livestock or jewelry, but can store value on their phones and now start earning interest. Services within the market are still highly competitive and are constantly looking to introduce new mobile money options to grab a higher market share. Such innovations are benefiting consumers and changing life as they know it. What lies beneath the surface of a troubled country? People may question why would a company consider doing business in a country like Nigeria with poor infrastructure, frequent terrorist attacks, political instability, corruption, fraudulent internet activities, and more than 40% of the population living below the poverty level. What benefits could the country possibly have that outweighs such turmoil? Most people only see the negative aspects of entering an African nation. However, to see the opportunities you have to look beyond the common perceptions and recognize the true market potential. Africa is known for its abundance of resources such as oil, gas, gold, and diamonds, but what may be the greatest asset is often overlooked– the people. Africa is home to 1.11 billion people making it the second largest and second most populous in the world. 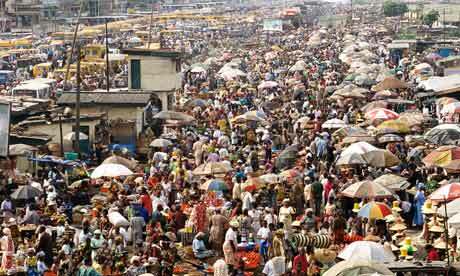 Nigeria is the largest country in Africa and ranked 7th worldwide in terms of population with 173.6 million people as of 2013. Not only is the population large but it is also young, entrepreneurial spirited, and growing. Roughly half the population is reported to be 19 years of age or younger. Interestingly, Nigeria reportedly has the highest total entrepreneurial activity in the world; many Nigerians tend to be innovative and business oriented by nature. 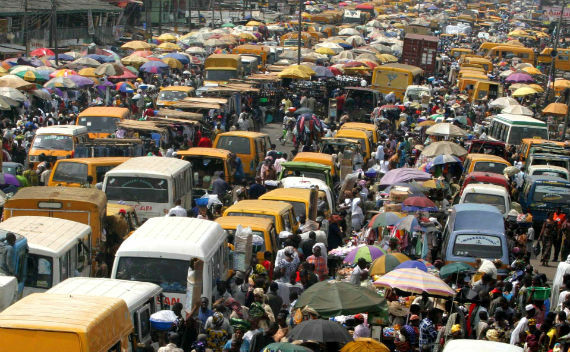 Nigeria’s projected growth rates rival the top emerging economies – even the renowned BRICS nations. In April 2014 Nigeria surpassed South Africa as the largest economy in Africa, with a GDP of $510 billion in 2013, $190 billion more than the GDP of South Africa. GDP grew by 7.4% in 2013 up from 6.5% in 2012 and is forecasted to achieve an average growth rate of 7.1% through 2030. Nigeria is ranked as the 26th largest economy in the world and is on track to break the top 20 by 2030. Nigeria plans to invest heavily in 5 major economic sectors to sustain growth: agriculture, trade, infrastructure, manufacturing, and liquid production of oil and gas. The impressive growth has recently attracted investors all over the world. According to Frontier Market Sentiment Index report in the Wall Street journal, Nigeria is the number one frontier market in terms of attracting investment interests from European and American multinationals. Citing an average of 3 out of 10 major companies having Nigeria on their watch list. Large multinationals such as Dominos, YUM! 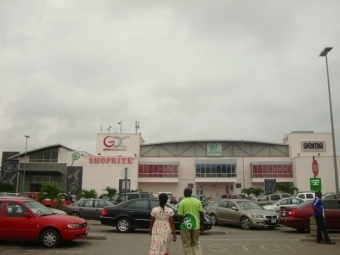 Brands, and P&G are examples of businesses planning to further expand their current presence in Nigeria because of their success. 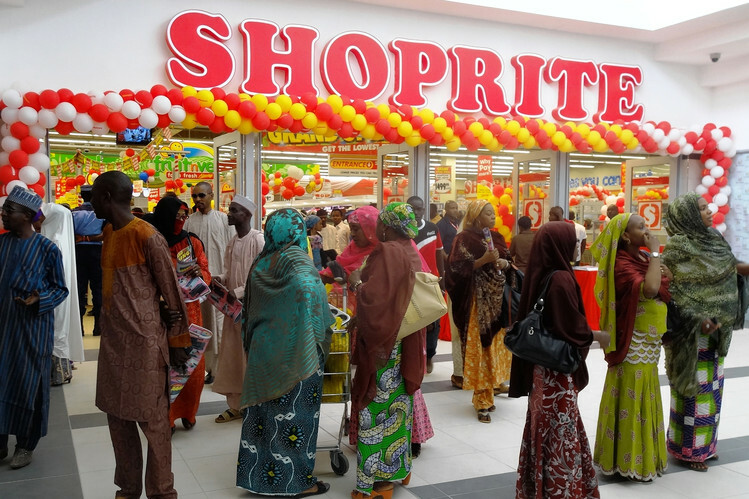 With an unsaturated market and promising future, Nigeria is considered an “economic sweet spot” for business. The combination of the market size, age, and growth offers great potential to become the most lucrative mobile telecom markets in Africa. The industry accounted for more than a quarter of the GDP in 2013. Nigeria is ranked 8th in internet usage worldwide with over 67 million users, the majority accessing the web through their mobile phones as many do not have desktop computers and broadband issues remaining prevalent. Nigerians with their adaptive instincts have leap-frogged several technological product cycles; one instance is many people are buying cell phones before having a landline for their household. Nigeria has over 120 million mobile phone users with over 70% market penetration and is predicted to continue to grow substantially. Although mobile phone penetration is rapidly increasing, only about 25% of the population owned a smartphone in 2013 but this number is expected to increase as technologies become more affordable and as the middle class rises. The mobile service carrier industry is fiercely competitive with main operators MTN, Airtel, Globacom, and Etisalat battling for market share. However, opportunities in other areas within the mobile sector such as applications, content, and payment methods are immense and profitable. 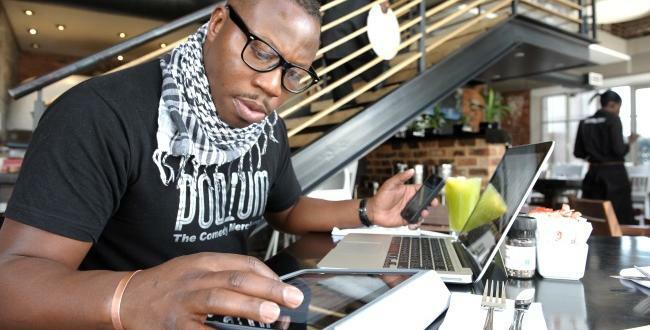 Nigerians use their mobile phones for work, entertainment, and social media beyond typical talk and text features. Nigerians are the leading country in Africa in terms of social media use with well over 11 million users with over 6 million members on Facebook’s site alone. Nigeria ranks the 4th in terms of Facebook membership growth rate. Nigeria is in a great position to benefit from worldly economic trends including the rising demand from emerging economies, growing demand for global resources, and spreading the digital economy. Despite the continued problems within the nation Nigeria continues to display impressive economic growth rates, a growing middle class, and a youthful population that embraces technological developments making the market extremely attractive for business. 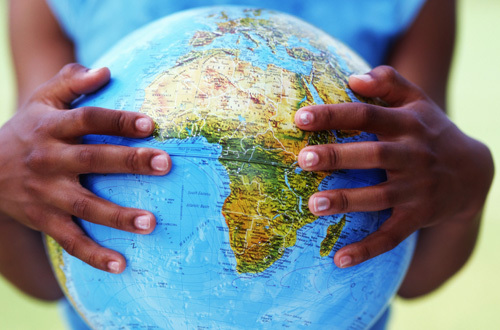 African SMEs and Entrepreneurs – the time is now! 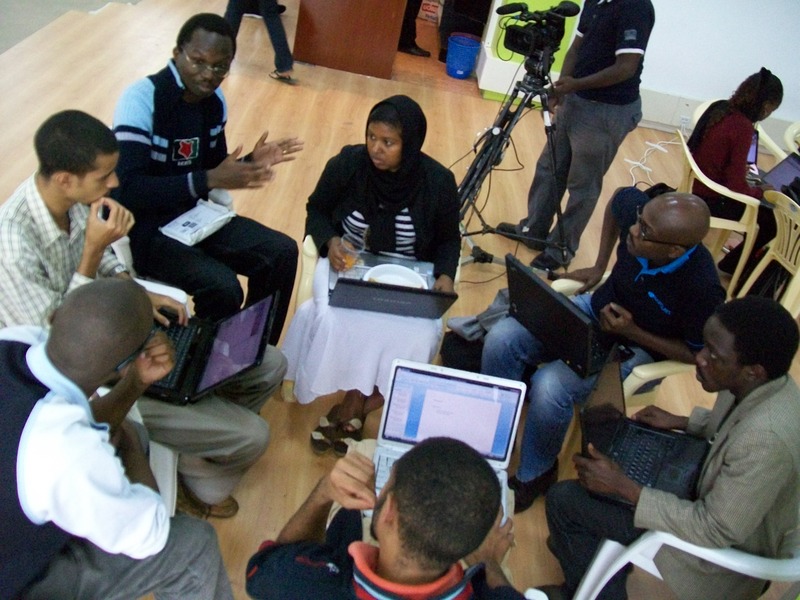 Africa is quickly emerging as a top contender for business expansion in large company ventures. In many ways, Africa has been referred to as the “next Asia” with strong investment growth. After all, the continent is home to 7 of the 10 fastest growing economies in the world. The future has been looking much brighter for Africa, especially in the last decade where we have seen Africa’s GDP more than double. According to EY’s recent attractiveness survey for 2014, Sub-Sahara Africa places in second place. Three years ago in 2011 SSA was listed 3rd from last on the same list. This year, North America is the only region that ranks ahead of Africa in terms of investment attractiveness. Growth within these nations not only provides incentive for foreign direct investment (FDI) from all over the world, but also more importantly provides immense opportunities for African entrepreneurs across the continent. EY also cites Intra-African investment and development as a major source of growth for the continent. Inherently Africa has a high level of risk associated with business investment with many nations battle political instability, corruption, and problems associated with the lack of proper infrastructure. All of these factors contribute to the risk in conducting business in Africa which is eminently complex. In the past, such issues have resulted in the hesitation by global companies from exploring expansion into African nations. However in present day, it appears investors have been able to see beyond negative headlines of nations such as Nigeria, Kenya, and Sudan due to the market potential outweighing many of the risks. While many large size multinational enterprises (MNEs) such as Nissan, H&M, and Burger King are making headlines for their decisions to expand into Africa for business ventures, the success behind these rapidly growing countries is largely due to SMEs, small and medium sized enterprises. Several MNEs have recently been attracted to the region due to significant improvements in regulatory, legal, and business systems. 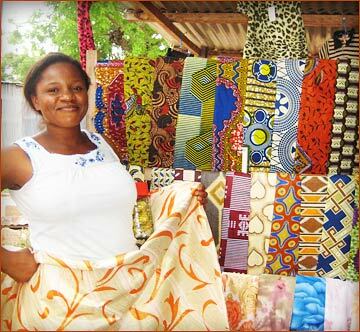 However, according to IFC and World Bank reports, over 90% of all businesses in Sub-Saharan Africa are SMEs. Aside from this, there is also the informal market of micro businesses that are largely unaccounted for. With the exciting growth of the mobile phone industry, it presents a major opportunity for Sub Saharan companies to prosper. 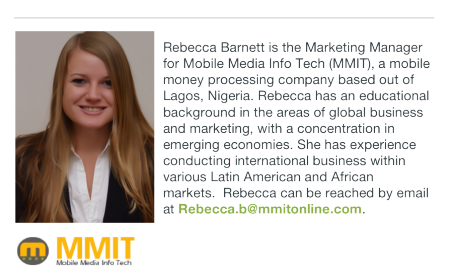 MMIT, Mobile Media Info Tech, a Nigerian software provider of mobile payments is an example of how Nigerian entrepreneurs and SMEs can benefit from the recent growth trends. With the significant increase in cell phone users, mobile opportunities are abundant. 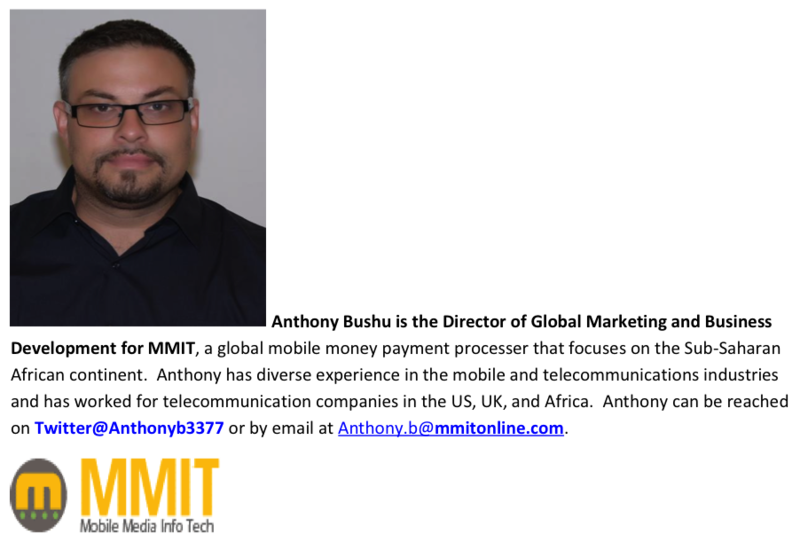 MMIT quickly entered the market by creating M-Wallet and M-Diaspora products. These products allowed Nigerians to use their mobile phones to pay for products, acting as a mobile wallet, and our M-Diaspora product which allowed ex-pat Nigerians in the United States and United Kingdom to send money to friends and relatives in Nigeria. MMIT saw the opportunity and benefit of mobile payments, a technology that has revolutionized the African consumers’ lack of banking access and dependency on carrying cash. With the overwhelming majority of the business landscape being SMEs, they are instrumental to the growth of the economy within the Sub-Saharan region. African SMEs growth and development helps create the desperately needed jobs within the formal economy which can ultimately boost economic growth and stability. Although things are looking up, reports of high unemployment rates in SSA, particularly among the youth, continues to plague the continent. The need for the creation of jobs and infrastructure is still in dire need to foster the current economic growth and to sustain it. Therefore, it is imperative that they do not ignore these rising opportunities created by the economic growth of the past years. Business in Africa is challenging and varies significantly from country to country which further adds to the degree of difficulty for foreign entrants. African companies have many advantages that they can capitalize especially in terms of market knowledge, understanding of consumer behavior, and realizing what innovations can revolutionize the African way of life. African companies partnering with foreign companies is another smart option for both sides of the spectrum as local African business are able to fill many of the gaps that large MNEs cannot always fill. With new economic developments and increasing incomes, consumers are demanding access to more goods more than ever before. African entrepreneurs and SMEs should seize the opportunities before the MNE’s flood gates open. New mobile payment product M-Iflo launched to minimize risks as it is of great concern in the African markets. MMIT in partnership with Bango, a leader in mobile payments, has officially launched a product called M-Iflo to revolutionize the security of mobile payment environment in Sub-Sahara Africa. The M-Iflo product provides a safe payment solution that enables online transactions for digital content, which will unlock many opportunities in the world of mobile payments for Africa. M-Iflo essentially is an intermediary between mobile merchants and mobile wallet providers. The product acts as a payment verification portal that provides a secure way for mobile content providers to reach African markets. This enables consumers of mobile wallets to select their wallet provider as a form of payment at the check out page of the transacting website. M-Iflo additionally allows those without mobile wallets to buy content from major app stores by using a top up card that can be purchased at retail outlets. 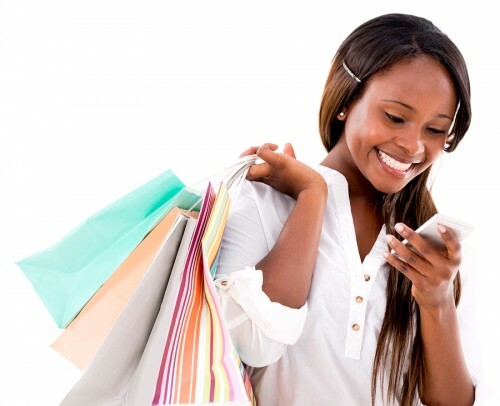 Upon purchase of the top up card, codes are provided for the customer to enter upon checkout of a merchant site to complete the transaction online. 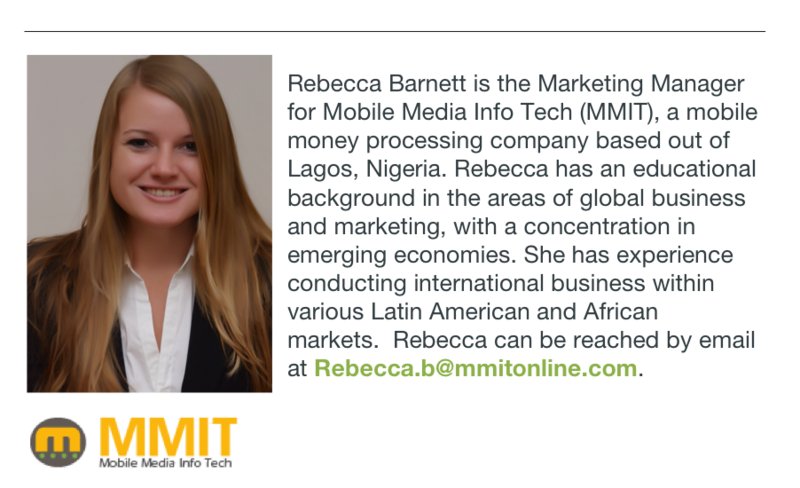 MMIT is looking forward to this summer as the product officially launches in Nigeria with Stanbic within the coming weeks followed by Kenya’s launch later this summer. Is your business is targeting the youth of Sub-Sahara Africa? If not, then your business is missing out on the largest and fastest growing youth consumer market in the World. According to a Mckinsey & Company study over 50% of Africans are under the age of 20 and over the next decade this group will grow faster than any other youth group in the World. 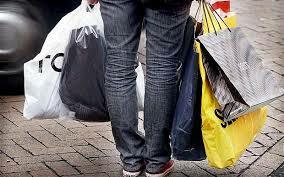 In 2013 Africans aged 16-34 accounted for 65% of the consumer spending in Sub-Sahara Africa, or SSA. A quick profile of this youth consumer shows that they are online and tech savvy, image-conscious, prefer quality first, price second, are brand conscious, mobile, and they are digital. And their digital technology of choice is the mobile phone. 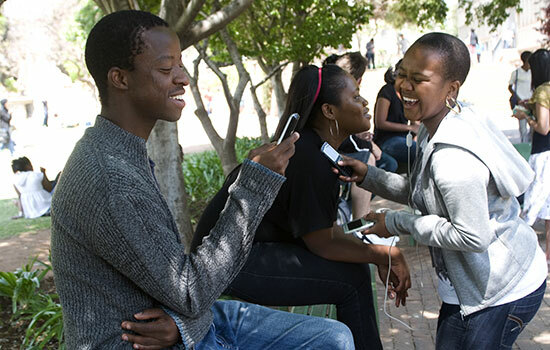 Mobile Technology is the de facto technology of choice for the youth of Africa. For this article I define the youth of Sub-Sahara Africa, SSA, as anyone between the ages of 14-34. For this group the mobile phone is a passport to a flexible new world that is much desired. Their mobile phone defines their status and distinguishes their place in society. The more expensive your mobile device the richer you are, the cheaper your device, the poorer you are. Most young people initially buy low cost, low brand devices, such as Techno, or Huawei, but once they save up enough money they go for a more expensive, nicer looking phone. 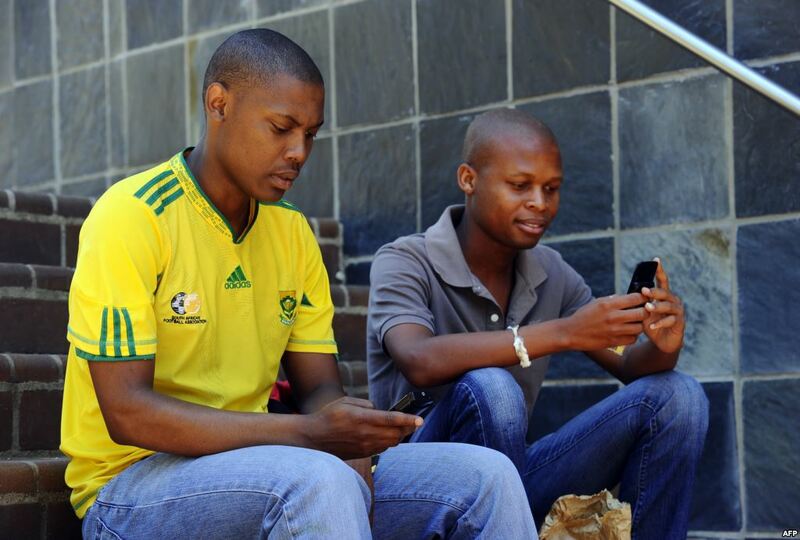 Youth consumers in SSA are very brand and image conscious and their mobile device is proof of that. Another key trend is mobile devices no longer just being phones. Mobile devices have now become tablets, phablets, and phonblets. SSA youth are using their mobile devices to view, store, and create mobile content. Even though more youth are using mobile devices daily, only 20% of a phone’s functionality is actually being used according to mobile tech industry analysts. Of that 20% however, more than 70% of that usage is for communication (email, SMS, social networking, downloading games, music and video apps, etc.). 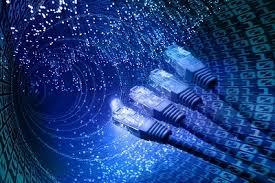 Internet access is also getting better and sites like Youtube and Facebook receive millions of visits and subscribers. Texting is still prevalent and phones are used more often for texting than voice calls. However texting can now be broadly viewed as messaging. There is SMS and then there are data based free messaging services like Whatsapp, Ebuddy, and BBM that now actively compliment SMS. Mobile also provides privacy and control for SSA youth. Having a phone allows them to keep information from the prying eyes of their parents and family. According to an InMobi Report in 2012, 47% of Nigerian youth say they love their mobile device because it allows them to keep their information private. SSA youth also keep their mobile devices on them at all times an according to an InMobi report. Mobile provides SSA youth with “Found Time”. Found Time is described as using your mobile device at any time, whether in the bathroom, on the bus, or on your bed to check-in to social networking sites such as Facebook, IRokoTV, etc. Understanding this demographic is vital to understanding the future of SSA. The technology may change but the consumer habits of tomorrow are being formed today. The traditional consumer patterns of the West and how companies approach these consumers does not apply to SSA. The approach taken to reach and speak directly to these consumers is unique and local to SSA and it starts with mobile technology. When we think of the potential for a cashless society we tend to look at the developed World and markets such as the United States or Europe as the places most likely for this development. Even with credit cards and smart phones being ubiquitous throughout these countries you would be wise to look to emerging markets as the potential birthplace of a future cashless society. Mobile technology is growing and more than 1.7 billion people have cell phones but no bank accounts in emerging and developing markets. According to the GMSA in 2012 there were123 mobile-money deployments in emerging markets, with 84 of them originating within the last 3 years. Mobile money has the ability to offer financial services to the unbanked and reach consumers in the remotest parts of the World. Even with the potential there is still a long way to go and Nigeria is a great example of this. 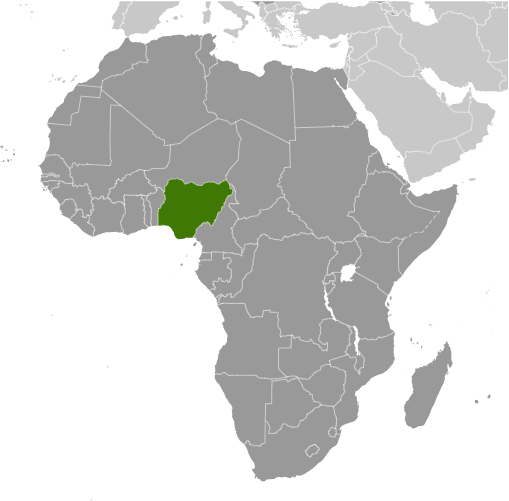 One of the emerging countries leading the cashless society initiative is Nigeria. 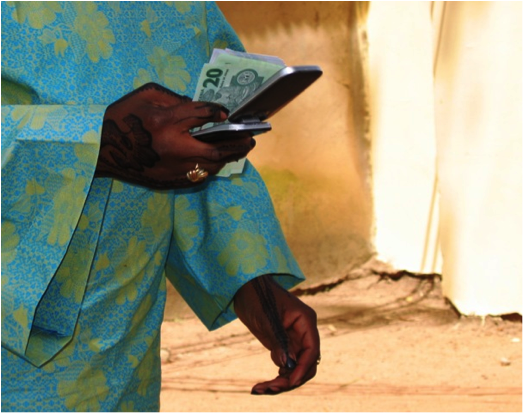 The cashless initiative in Nigeria is in its early stages. The Central Bank of Nigeria, or CBN, has estimated that it will cost over $930 million to invest in new POS terminals, ATM’s, and payment solutions by 2015 as part of its “Cash-Less Lagos Project”. Recently the CBN announced 40 billion Naira per day is being transacted virtually and the bulk of these transactions are being conducted in Lagos. Initially CBN was targeting a phased approach post-pilot in Lagos State and then moving to a second phase which CBN claimed would cover close to 90% of all financial transactions in the country. 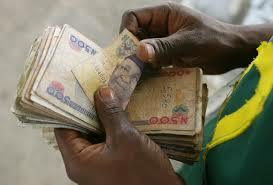 Due to the success of the Lagos Pilot CBN decided to implement the cashless push nationwide. One of the stumbling blocks was the lack of infrastructure to facilitate cashless transactions conveniently and relatively close to the population. Kim Fraser, COO of MMIT, commented on the problems with the pilot program in Nigeria. “In the Lagos Pilot there were only 10,000 POS systems on the ground in Lagos State. Today there are over 150,000 POS systems deployed. It is still a small number to cover a country as large as Nigeria. In addition the CBN has also realized that the term “Cashless” was scaring a lot of people especially in a country where 80% of the population is unbanked. The new catch phrase that the CBN prefers is “Cashlite”. There is still a significant way to go even under the new mantra of Cashlite though CBN appears to be making progress”. 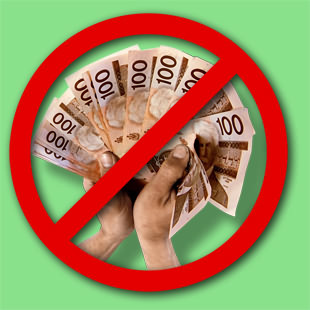 The debate for a cashless society has its positives and negatives. For financial institutions a positive development of a cashless society is its ability to reduce costs required to print money and increase its consumer base and services to include the non-banked of the emerging and developing World. For consumers there is an ease for transactions and the prospect of no longer having to carry cash. Carrying cash can be a major problem in emerging countries where the risk of being robbed is greater. There is also potential for less corruption and more transparency in a cashless society. The negatives include the invasion of privacy; security and fraud, and the wide divergence in the experience of mobile money service providers around the world. There are some obvious hurdles that are slowing the progress of a cashless society including the lack of infrastructure, scalability, and the sustainability of mobile financial services. So what does this mean for telecom and financial institutions? It means there exists opportunities for the continued development of new financial products and greater customer education for their products. If the telecom providers and financial institutions can create a healthy relationship with each other and with their consumer bases there can be continued growth and success for mobile money and other cashless initiatives. Most people recognize the abundance of natural resources that the Sub-Sahara African continent has been blessed with. One resource that most people fail to recognize is Africa’s youth. This resource might be Sub-Sahara Africa’s, SSA, most precious and vital for continued growth in the 21st century. Not only is Sub-Sahara Africa one of the fastest growing regions in the World, it also has the largest youth population in the World. 62% of the SSA population, 600 million people, is below the age of 25, and according to the World Bank the number of 15-24 year olds has risen from 133 to 172 million in the last decade and is expected to reach 246 million by the year 2020. The Guardian estimates that there are 70 million more Africans under the age of 14 in 2012 than there were in 2002 and by 2022 that number will increase by another 76 million. The median age in Africa in 2012 was 18 years old, which is 7 years younger than the median age in Asia and 16 years younger than China. This young population could be a catalyst for growth, global consumption, and global production, but it could also be a huge risk with the large number of unskilled youth who lack jobs and opportunities, which could lead to political and social unrest like we witnessed with the Arab Spring Revolutions in Tunisia and Egypt. For this article I will first look at the growth potential and then look at the potential risk factors. For many years Africa experienced a brain drain. People were leaving SSA to come West for a better education and opportunities. Over the last decade that trend is starting to reverse and is now becoming a brain gain as more expats return to SSA looking for opportunities due to economic problems in the West, Africa’s strong economic growth, and those who want to return home and make a difference. A survey by South African private equity firm Jacana found that 70 percent of African students studying for their MBA’s in the US and Europe plan on returning to Africa after graduation. These expats are bringing skills and knowledge to the continent that is assisting with its current growth. Also Africa is doing a better job of retaining its workforce. Recent statistics compiled by the World Economic Forum indicate that many of Africa’s growing economies have significantly increased the retention of educated workers. Nigeria is a great example of this. They were ranked 112th in the World for retaining workers in 2008 but by 2013 they ranked 48th. The growing youth segment is also digitally savvy. There is a growing digital revolution taking place and technology is lowering the barriers to entry for expats and business and creating opportunities where none previously existed. 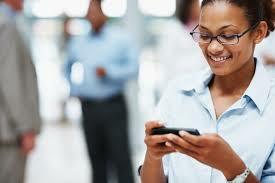 Mobile phone technology is the technology of choice and mobile internet usage in Africa is the highest in the World. 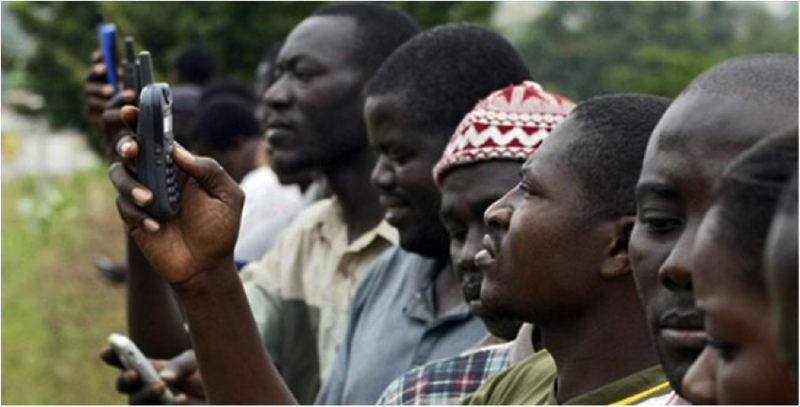 It is projected by 2016 there will be over 1 billion mobile phones in Africa. SSA is also currently experiencing a technology boom. There are currently 90 technology hubs, labs, incubators and accelerators, in over 20 African countries spearheaded by Kenya’s iHubs in Nairobi. These hubs are developing an atmosphere where new and innovative ideas are created and shared and where people can network with other like-minded people. Of course for all of the positive vibes coming out of SSA there are still lots of problems. According to the African Development Bank, the youth constitutes about 37 percent of the total labor force, but make up about 60 percent of total unemployment. The risk of displaced youth who cannot find jobs, do not have the proper education, training and skills, could lead to a melting pot of political instability and social unrest. Africa needs to be able to create its own jobs. Currently Africa lacks an industrial and manufacturing base that produces products for export. 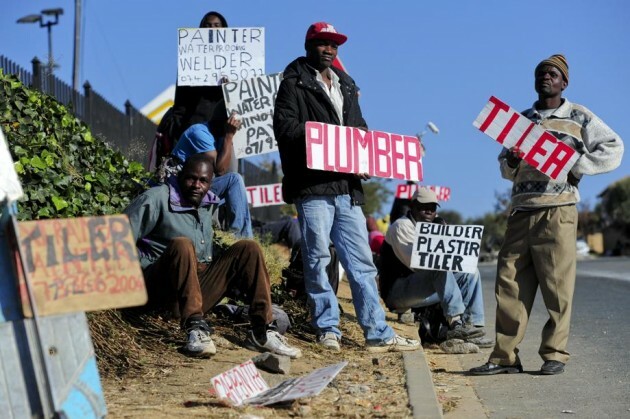 Africa is experiencing a jobless growth and according to a McKinsey & Company study the African continent loses 20,000 skilled workers to developed economies every year because of the lack of skilled jobs and opportunities. There is also the issue of local workers who are upset with the return of expats to their countries. They feel the expats are taking the best jobs and opportunities and were not there during the harshest of times. There is a growing sense of inequality and many feel they lack access to the same opportunities as their expat colleagues who have been educated and have worked in the West. Many feel Western companies would prefer to hire expats rather than locals if given the opportunity. There are solutions for these problems. Africa needs to have youth unemployment treated as a core strategic objective of development policy. There needs to be favorable and flexible labor laws, a focus on the investment in people through education and training, the creation of a favorable and operational business environment that is attractive to businesses and investors, and a creation of wealth rather than just a redistribution of wealth. This is of high importance and something SSA needs to get right. McKinsey & Company predicts by 2040 that Africa will have the largest workforce in the World surpassing India and China. So the opportunity for growth is great, but the opportunity for risk is also great.